Cold is in the air, snow is on the ground, and the holidays are on people's minds. 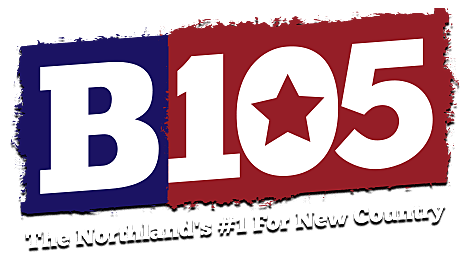 To celebrate the season, B105 is bringing back our 24/7 commercial-free Christmas Music to our website and mobile app. Playing a blend of the classics and contemporary favorites, our stream will keep you rockin' around the Christmas tree for the whole season. You can listen via your computer or mobile device, and to make things even easier, we've added our Christmas Channel to our mobile app too! Listen to our commercial-free Christmas Channel now! You can find the stream under the "Listen" menu on our websites, or right on the homepage of our station app in the ribbon menu that goes across the screen. Listen on any device at home, bring some holiday cheer to work, or belt out some holiday favorites in the car by streaming to your car radio from your mobile phone. Thank you to the Greater Downtown Council for making it possible to bring you this commercial-free music to you all holiday season! Be sure to get Downtown Duluth – Bringing Joy every day of the year!